Who doesn’t love gravy? Either with mashed potatoes or maybe just with bread. Growing up,we’d have roast one night and the next day Mom would use the drippings to make gravy, heat up pieces of leftover meat in it, and we’d have homemade bread with gravy poured over. There are two types of gravy. A creamy gravy made with milk. The other type is a brothy gravy made with water. Both are great. They have a slightly different taste of course. But still great. In a pan, bring your drippings or broth to a boil. Put the liquid and flour in a jar or other container with a tight fitting lid. Put the lid on and shake well til thoroughly mixed. When the broth has come to a full boil, pour in the flour mixture. Stir constantly and bring the gravy back up to a boil. Turn the heat down if needed so the bottom won’t burn. 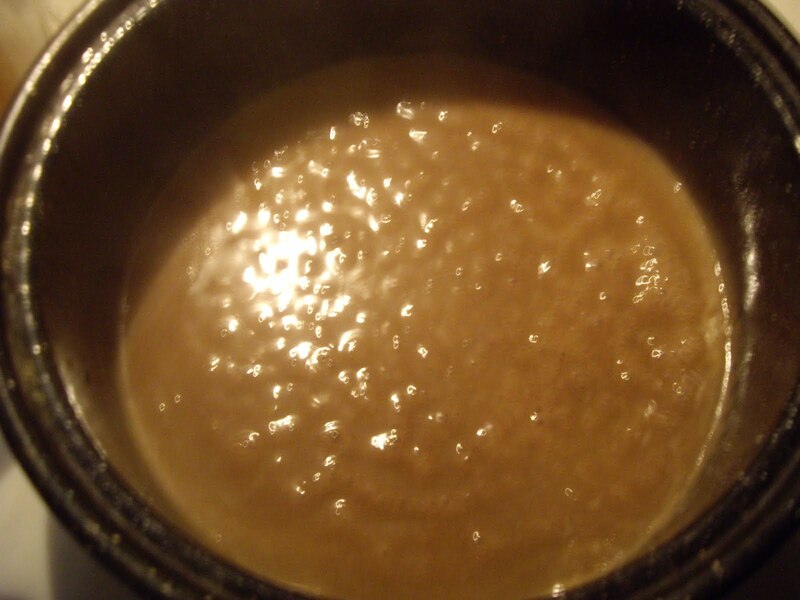 Keep stirring for 1-2 minutes until the gravy has thickened to the consistency you want. Makes about 2 to 2-1/2 cups.